CURRENTLY CLOSED FOR RENOVATION. Looking for a river, bush 'n' beach experience? 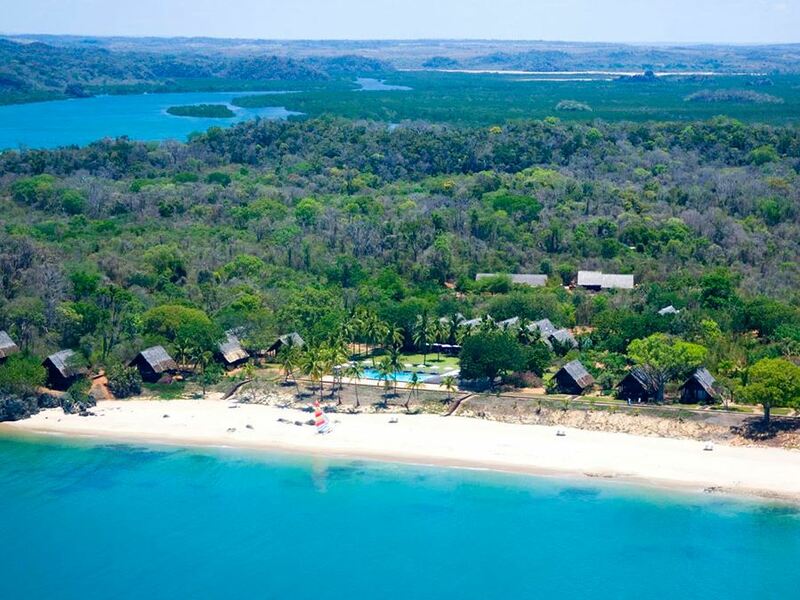 This lodge on a long stretch of sandy beach close to the mouth of the Wami River gives you the chance to see big game, boat up the river or stroll on deserted golden beaches. Perhaps the only destination in East Africa where you can swim in the ocean and 15 minutes later be watching a pride of lions from a open Landrover - a unique opportunity to combine "bush 'n' beach"
Some of the finest prawns in Tanzania come from Saadani - straight from the beach to your plate! If you’re tired of just lying in the sun on the beaches of Zanzibar, then take a short 20 minute hop by plane to Saadani, Tanzania’s newest National Park. 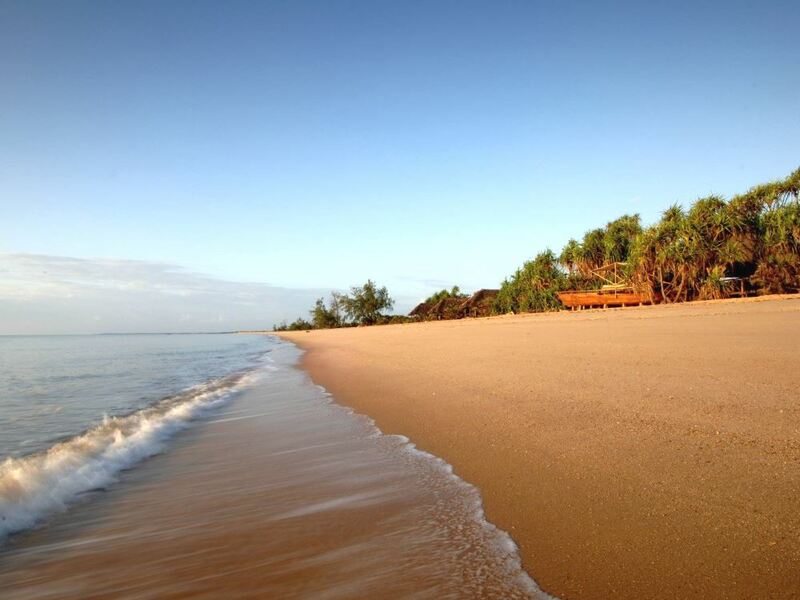 Its main claim to fame is that the park uniquely combines both the beach and the bush, allowing visitors to swim in the warm Indian Ocean before heading off on a 4x4 game drive. It’s true to say that the beach here is not of the Zanzibari blindingly white sand and aquamarine sea variety – but it does offer guests the opportunity to wander along kilometres of virtually deserted sandy beaches, only coming across the occasional fisherman. Saadani Safari Lodge is the place to stay here, with the base level rooms being 9 very comfortable safari tents lying literally on the beach within a couple of metres of the sand. Thatch-covered wooden walkways lead to the tents which are of the canvas-permanently-stretched-over-wooden-frame variety - and quite spacious too, with a large double bed covered with gorgeous suede-feel bedspread under a voluminous mosquito net. Rather than the more usual hammock on the wooden deck area, these Classic Banda rooms at Saadani Safari Lodge have another great ace up their sleeves – a second full double bed in a type of outside room, the walls of which are just mosquito-proof gauze allowing you to enjoy both the cooling sea breezes and the view of the beach basically undisturbed. The lodge also gives you the opportunity to sleep in this outside bed should you prefer, which during the warmest summer months is a very popular option. But if you're looking for more luxurious rooms, then there are some stunning options also available at Saadani in the form of 5 Maridadi Suites which are both larger and more stylish with indoor and outdoor showers a highlight. 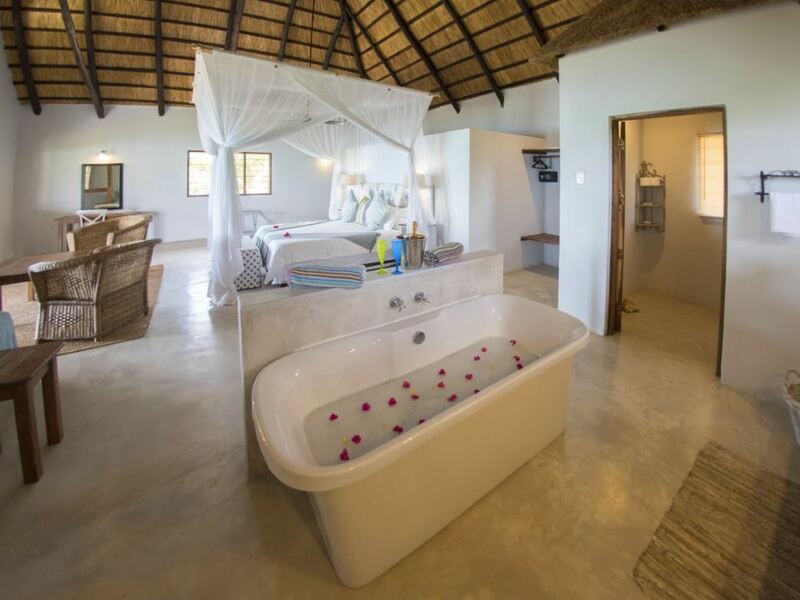 If you're in the mood for seclusion and romance, then the Siri Suite with its private swimming pool and personal butler service is the one for you - perfect for honeymooners in particular! The food at Saadani as a whole is delicious, but special mention must be made of the fantastic prawns that the Saadani region is famous for throughout Tanzania - incredibly these can grow to huge 300g monsters that constitute a whole tasty meal on their own! 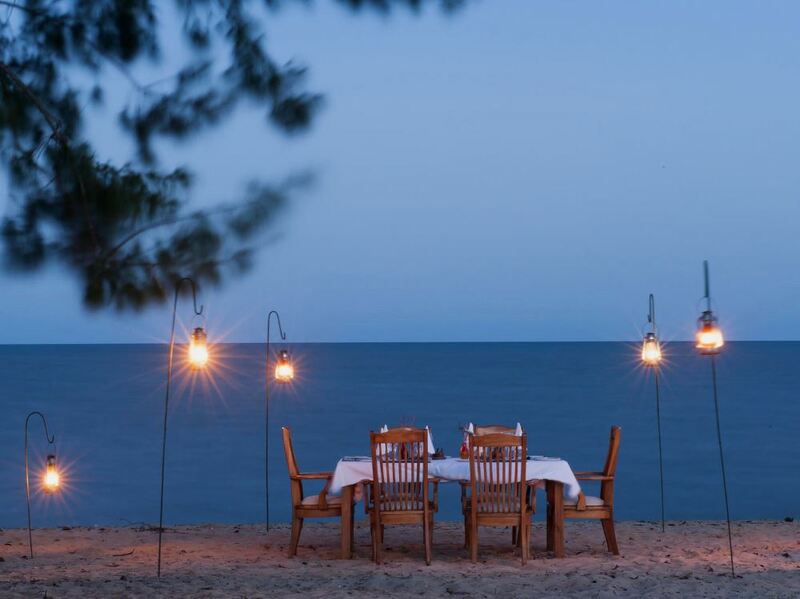 Barbeques, either at the lodge itself or out on a pristine sandbank ½ an hour away by boat, are an especially memorable part of camp life at Saadani. Another favourite spot for guests worthy of mention is the star gazing deck where you can relax after dinner and marvel at just how many more stars you are able to observe in the remote bush, far away from any distracting city lights. There’s plenty to do at Saadani – take a dip in the inviting swimming pool or, for something a little more adventurous, a ½ hour trip brings you to a nearby sandbank, where the lodge will set up a shady awning and you can barbeque some of the area’s delicious prawns or fish before some superb snorkelling on a coral reef just 30 metres or so off the sand. Or take a ½ hour trip and cruise by boat amongst the many hippos and crocs on the Wami River – the birding here is superb and the tranquillity overwhelming. Amongst the many species we spotted were fish eagles, spoonbills, pelicans, storks and various kingfisher species, not to mention colobus monkeys cavorting in the trees and a hungry looking monitor lizard. Of course there’s also the option of going on a game drive. With the park being so new, the numbers of game are still building up and the animals pretty skittish, so don’t expect a Sabi Sand’s “can we see a leopard next, Ranger” type experience – but you can expect to see giraffe, wildebeest, eland, zebra, buffalo, reed buck and bush buck amongst others, and sightings of lion are becoming increasingly regular. 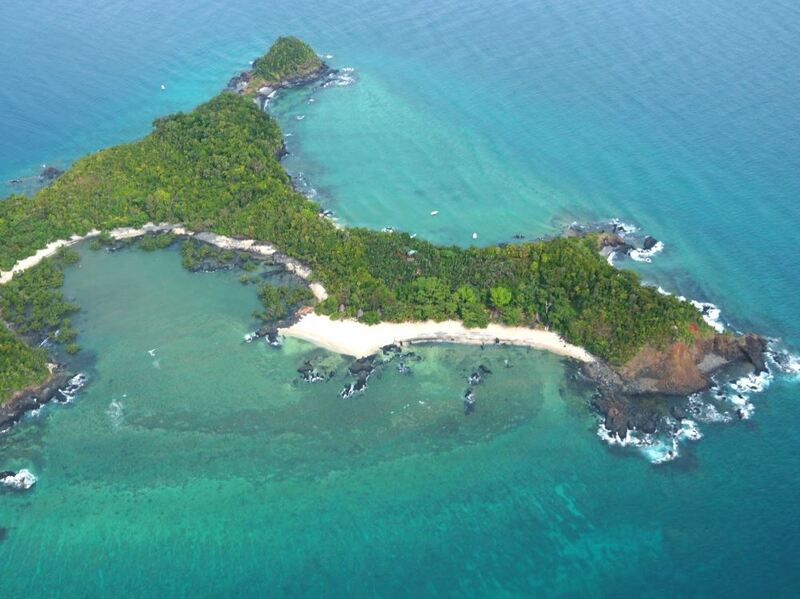 You could also get to see elephant, perhaps even on the beach where they are spotted once in a blue moon! Boasts 8 hugely spacious and tastefully decorated villas perched above a pristine white sand beach - divers and snorkellers will be delighted by the protected coral reef lying just in front of the lodge!